Get outdoors at Devil's Channel and Prague Zoo. Head to DOX Centre for Contemporary Art and Manufakturafor plenty of shopping. 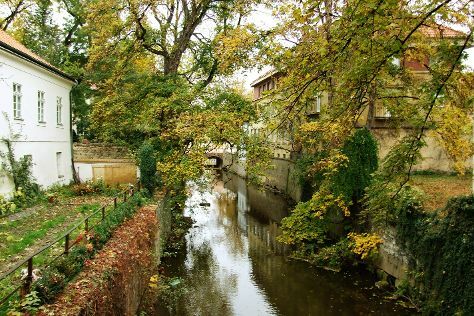 Next up on the itinerary: get outside with Prague for Two, get a new perspective on things with PRAGUE-BOAT, stop by Artel, and take an in-depth tour of Jewish Museum in Prague. To see other places to visit, maps, where to stay, and other tourist information, go to the Prague journey planner. If you are flying in from South Africa, the closest major airports are Václav Havel Airport Prague, Brno-Tuřany Airport and Ostrava Leos Janáček Airport. July in Prague sees daily highs of 30°C and lows of 17°C at night. Wrap up your sightseeing on the 26th (Thu) to allow time to travel back home.